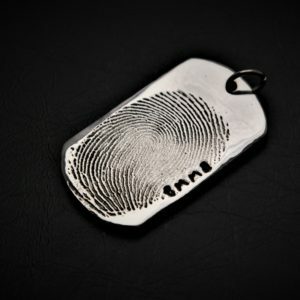 Little Finger Prints offer unique custom made products that our customers love. Order anything from Little Finger Prints and have your products delivered for free. 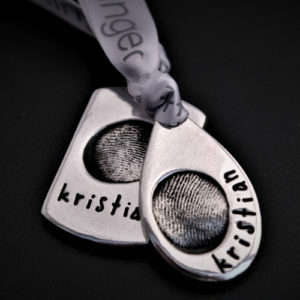 Little Finger Prints products are the perfect gift idea for friends and family. 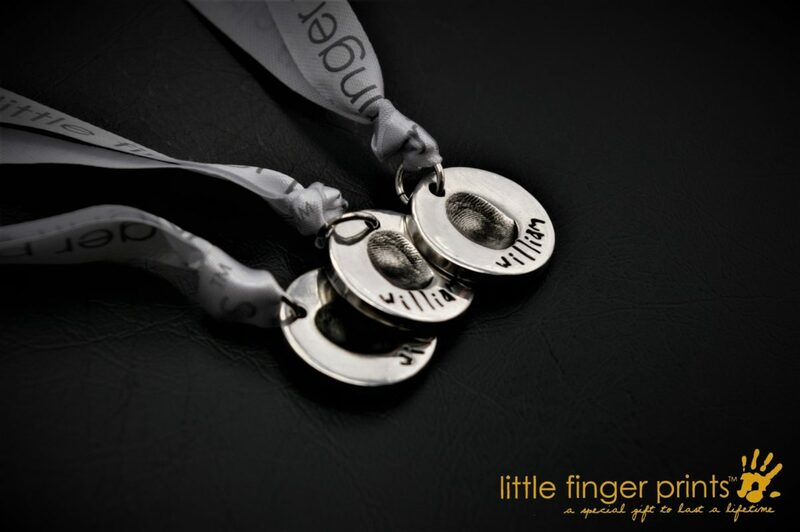 Little Fingerprints are the creators and designers of stunning, handprint jewellery & gifts. 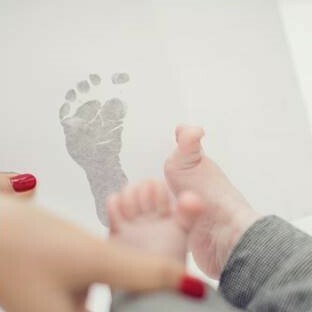 Our beautiful creations are all handcrafted using your loved ones’ true hand, foot or pawprints. Our unique online ordering system and special print kits make it easy for anyone to order our personalised jewellery, take prints and create a keepsake to treasure for life. Ordering is easy, simply browse our products, add to basket and pay. Once we receive your order, a printing kit will be dispatched so you can take the prints easily and mess free. 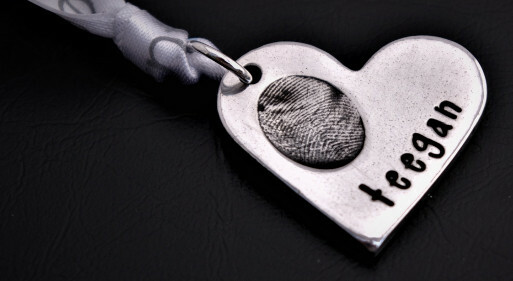 The choice of handprint jewellery, charms and personalised gifts are perfect for any mother, proud father or grandparent. 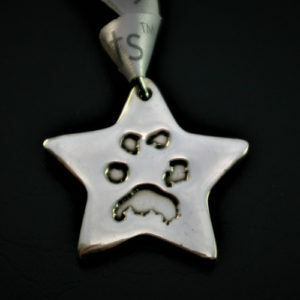 Choose from personalised cufflinks, necklaces, fingerprint jewellery, footprint jewellery, Pandora style charms & more. Mad about your pet? Our pet paw print jewellery make a unique gift and keepsake. Every special piece is made with love in the little fingerprint Studio and delivered to your door. Very good quality product! Was done very quickly and efficiently. The charms I ordered are very good quality and they look wonderful as well. WOW!!!!! I have no words. I am ecstatic over my gorgeous pendant. Thank you for all the love, care and excellent workmanship that went into making this. LOVE IT!!!!! I got the most amazing service and loved the end product (the special lady who the gift it was for loved them too!) 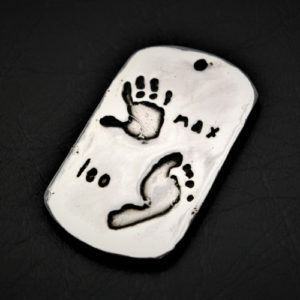 I Would highly recommend little fingerprints for a personalized gift for someone special. Thank you so much Little Finger Prints!! My pendants came out amazing ! Thank you for making it so special and offering a brilliant service! These pieces will forever stay close to my heart! Excellent service, very friendly and helpful, beautiful keyring!!! Excellent service . Awesome delivery . The bracelet was a success. Mummy enjoyed it. Thanks a lot Little Finger. Muchas gracias desde España. Thank you so much little finger prints. I’m over the moon with my silver finger prints of my granddaughter and grandson!!! I had the most amazing service from little finger prints!!!! Very accommodating and helpful and done in super quick time so I had them in time for my return to the UK.